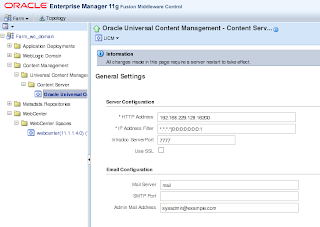 After installation of Oracle UCM 11g (Enterprise Content Management Suite 11g), you will see that there are no UCM Contribution Folders by default (folder structure is missing). At least, this happened to me and my colleague - we were following standard installation procedures for ECM Suite 11g. 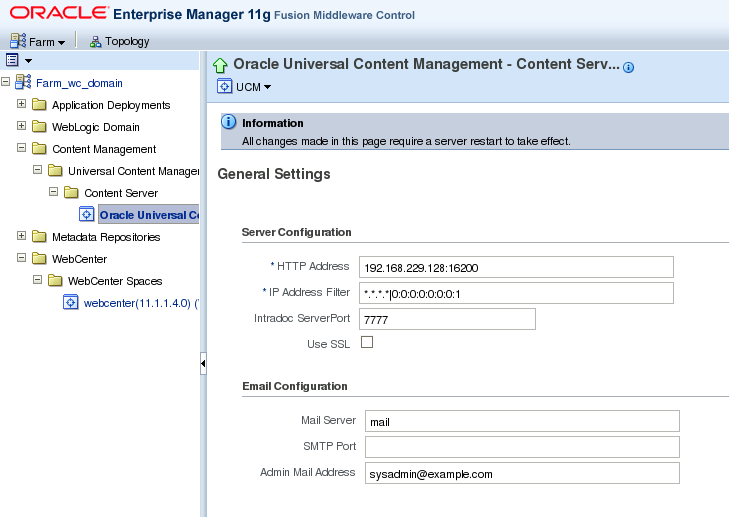 Because there are no Contribution Folders enabled by default, WebCenter ADF Task Flows for UCM document management will not work. Hi Andrejus in the last days i read your blog and i think you're the expert in OFM. 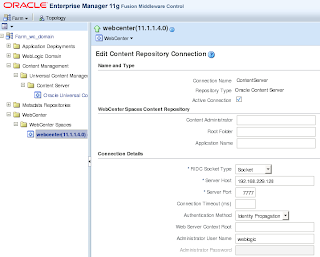 I have a question'¿how i can connect site studio whit web center spaces PS3? for view contributor mode in spaces. 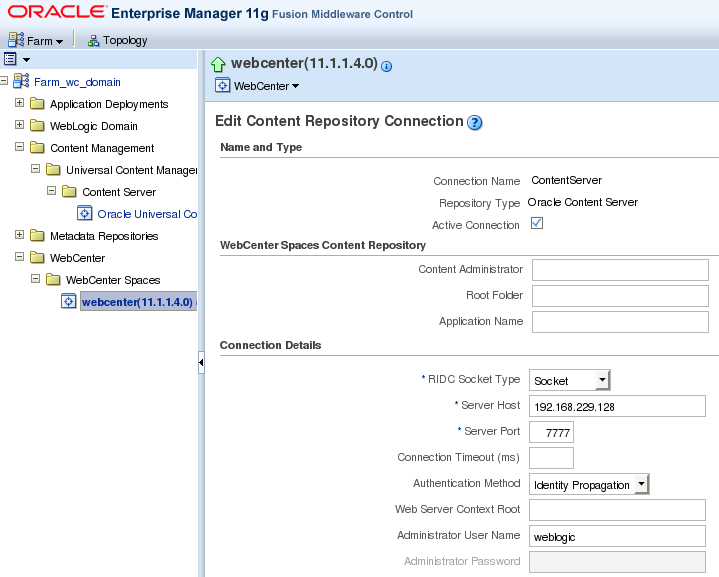 Related to the Webcenter Spaces integration with UCM. There are still no basic information on how to configure the default WC Spaces search for different Group Spaces (Space). When you create a Space, you would see an equivalent folder created in UCM under spaces/ but that GUID (A long alpha numeric number for a space) is an account in UCM. Now is there a basic document on how to configure this for all other users. As I am getting an access denied error in the spaces for Spaces >> All Settings >> Content tab. I didnt saw additional info myself. Thank you Andrejus for your excellent solution, saved me quite a bit of time! From what I understand the Folders_g component is no longer the preferred folder hierachy component and you should consider using the new "FrameworkFolders" component instead. I did find some other sources discussing these problems but haven't found a way to connect to the new FrameworkFolders component in jDeveloper; my guess is it isn't supported (yet) in 11.1.1.6.